Call (07) 4124 9903 for enquiries and take away orders. Open Wednesday to Sunday from 9:00 AM to 9:30 PM. Welcome to Santini Gelateria, a family-owned Italian gelateria, pasticceria and caffe situated on the Esplanade in Hervey Bay, serving delicious coffee, pastries, gelato and more, all fresh and home-made on the premises. Relax and enjoy at the caffe's indoor and outdoor seating, or take away – phone pre-orders available. For the latest updates, follow Santini Gelateria on Facebook. Santini Gelateria serves an ever-changing selection of traditional Italian gelato, pastries and desserts, with a variety of hot and cold drinks to complement your choice. 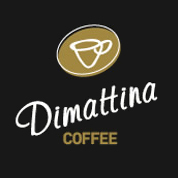 Try delicious Dimattina Coffee in your preferred style and select from our daily cakes and pastries, or choose from our menu of desserts including semifreddo, crepes, profiterols and more. Our fresh dessert specialties include Coppa del Nonno, Tiramisu, Cioccolato, Croccante, Frutti Rossi and Spaghetti Pomodoro. We also cater for special occasions – ask us about our personalised cakes for birthdays and functions, including individual desserts and pastries.